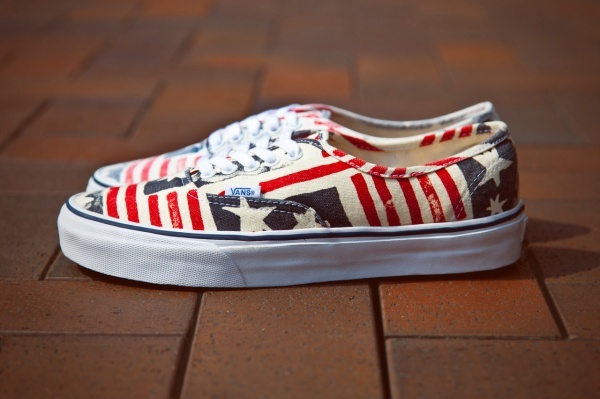 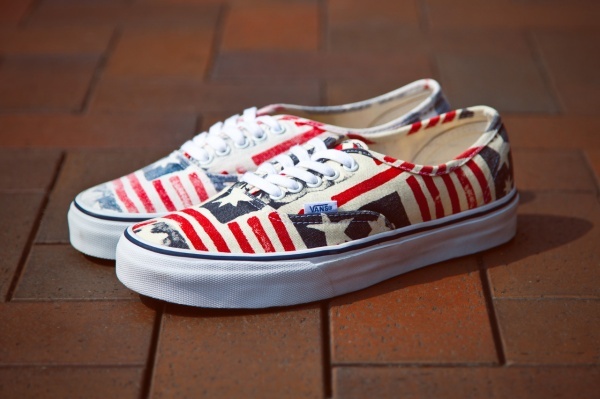 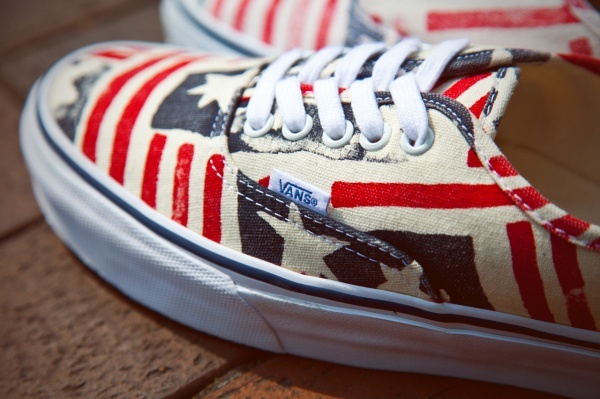 A tribute to iconic Vans co-founder James Van Doren, who passed away in October of 2011, Vans CAâ€™s Van Doren Series focuses on looking into the companies archives for inspiration in silhouettes and prints; for this release, a retro American flag patterned Authentic CA. 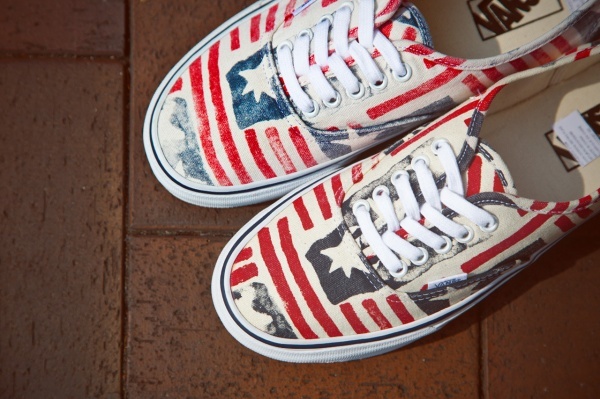 The first release for 2013, this all over distressed flag print is an instant classic, with a perfect combination of pattern applied to silhouette for a cohesive look. 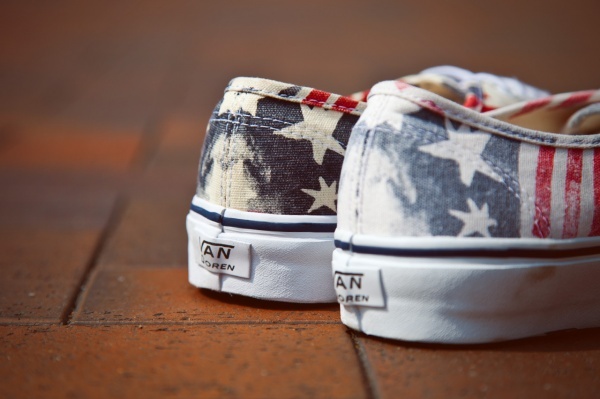 Finished off with an enzyme wash treatment and the original Van Doren heeltab branding, the â€œRetro Flagâ€ Authentic Ca will hit select Vans California stockists this March.